Opera Australia Artistic Director Lyndon Terracini AM and leading Australian theatre producer John Frost AM today announced the final lead cast member and the ensemble cast for their new production of Cole Porter’s smash-hit musical comedy Anything Goes, which will tour Australia this year. Bartholomew John, who played Captain Brackett in the OA/John Frost production of South Pacific in 2013, will play Ivy league Wall Street banker Elisha J. Whitney, and the Anything Goes ensemble will comprise Aljin Abella, Annie Aitken, Spencer Bignell, Jan Di Peitro, Samantha Leigh Dodemaide, Xander Ellis, Josh Gates, Alex Gibson-Giorgio, Bridget Hancock, Nicholas Kong, Evan Lever, Hayley Martin, Suzie Melloy, Imogen Moore, Glen Oliver, Natasha Paramor, Nathan Pinnell, Jordan Pollard, Ashleigh Rubenach, Mason Schaube, Greta Sherriff, Ashlee Smith and Lyndon Watts. These performers will join the other principal cast previously announced: Caroline O’Connor as evangelist turned nightclub singer Reno Sweeney; Todd McKenney as Lord Evelyn Oakleigh; Alex Rathgeber as young Wall Street broker Billy Crocker; Claire Lyon will be American debutante Hope Harcourt; Carmen Duncan in her musical theatre debut as Evangeline Harcourt; Alan Jones as Captain of the S.S. American; Wayne Scott Kermond will play second-rate gangster Moonface Martin; and Debora Krizak as Moonface’s girlfriend Erma. For decades, Anything Goes has captivated millions with its delightful story of madcap antics aboard the S.S. American. When the ocean liner embarks from New York to London, etiquette and convention get tossed out the portholes as two unlikely pairs set off on the course to find true love… proving that sometimes destiny needs a little help from a crew of singing sailors, an exotic disguise and some good old-fashioned blackmail. 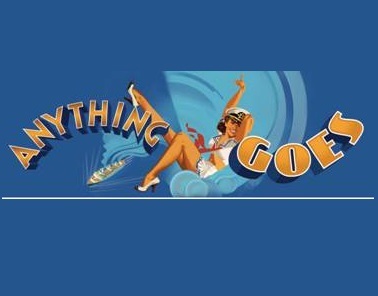 Winner of three Tony Awards, including Best Musical Revival and Choreography during its most recent Broadway run, Anything Goes is a stunning nautical favourite. This first-class musical extravaganza will dock in Melbourne in May, Brisbane in July and Sydney in September. Hailed by The New York Times as “musical-comedy joy” and USA Today called it “glorious and exuberant!”, you will be ‘all at sea’ if you miss out!